4Videosoft PDF Converter for Mac is professional business software. It is an expert in converting PDF files to other image and document files. You can finish your conversion with three conversion modes. And it has splendid source language, so with it, you can get a better effect by selecting the same language with the original files. This wonderful Mac PDF Converter is the best business assistant for you. It is able to convert PDF files to Microsoft Excel, Word, PowerPoint, EPUB, HTML, Text and image format like JPEG, PNG, GIF, etc. with high quality and speed. So you are able to enjoy your PDF files freely. 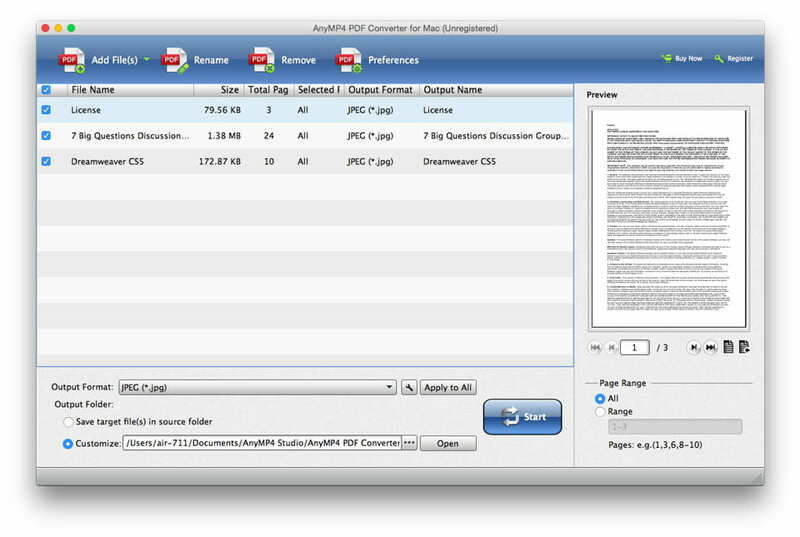 4Videosoft PDF Converter for Mac provides you with splendid OCR technology. This technology enables you to optimize your output files easily. You can use three conversion modes: Accuracy, Balanced and Speed. They are able to finish your conversion according to your needs. 4Videosoft PDF Converter for Mac is very easy to operate. And it enables you to convert the files you defined. You are able to save your target files to source folder, or you can define the location of your output files. The powerful PDF Converter for Mac lets you preview the original PDF files and you can set the current page as the output page.